The Samsung NX10 is the company's answer to the Micro Four Thirds system and it is up against stiff competition from Olympus and Panasonic. Will Cheung tests it out. 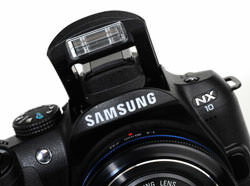 The Samsung NX10, a system camera and it is small because it lacks a pentaprism and instant return mirror. I got chatting to some ePHOTOzine members in the bar (where else?) at the recent Focus on Imaging show and one of them had a very interesting opinion on the lines of, ‘Is it right for a system camera not to have a reflex mirror in it?' Leaving aside Leica M cameras, what the chap was clearly referring to was the rash of Micro Four Thirds format cameras that have appeared from Olympus and Panasonic. This camera type has done away with traditional aspects of design that date back 50 years, ie gone are the pentaprism and the instant return reflex mirror, thus saving weight and space for the user and material and production costs for the manufacturers. It’s win-win. The Micro Four Thirds system camera market has materialised very quickly and shown that there is a demand for compact cameras with interchangeable lenses. The Samsung NX10 has jumped on the bandwagon but using an APS-C sized sensor rather than Four Thirds and a new lens mount, the NX mount. As an aside, for those of you interested in camera trivia, the first SLR with a pentaprism was the Contax S (1949) and the first camera with an instant return mirror was the very rare Hungarian-made Gamma Duflex (1948) and only 800 were ever made. The first Japanese made SLR with instant return mirror was the Asahiflex IIb (1954). Anyway, back to the present-day, The NX10 is in the shops now and has a guide price of £600 with the standard 18-55mm OIS lens. However, the street price is already down to £490 with the same lens. Small size does not mean that the camera's features list is compromised. Far from it. 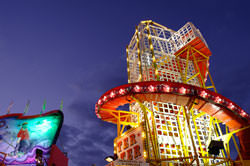 The NX10 is brimming with features, a mix of stuff aimed at experienced and inexperienced photographers. Aimed at the less experienced user, for example, there's a long list of Scene modes. Portrait, landscape and night are common but there are some more exotic ones such as fireworks, sunset and something called Beauty Shot. For keen photographers, there is the usual array of exposure modes, PASM: program, aperture-priority, shutter-priority and manual. To modify exposure settings there is the usual powerful trinity of exposure modification tools: exposure lock, compensation and bracketing. A noteworthy feature of the metering system is the multi-zone measurement system that utilises no fewer than 247 zones. The autofocus system relies on 15 sensor points in normal use and 35 in close-up, with the choice of using all of them or just one. Face detection and self-portrait AF modes are also options. The single zone AF function allows you to move that zone around to the relevant part of the frame. The sensor allows you to shoot at the 14Mp resolution with its image ratio of 3:2, or if you prefer a more panoramic format you can select a 16:9 picture ratio and a resolution of 12Mp. The 3in monitor provides bright images. You can see the exposed sensor. 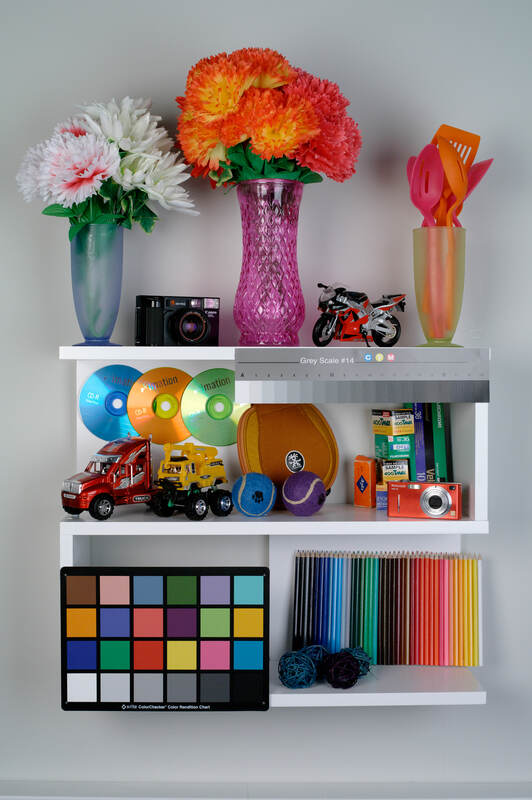 The 3in monitor will be the most popular method of composition for many people and this does provide an impressively bright image, but there is an electronic viewfinder (EVF) too. Put your eye to the viewfinder eyepiece and the image switches automatically from the monitor to the EVF and vice-versa. 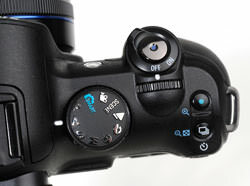 This is similar to the Eye-start system originally seen on Minolta SLR cameras. 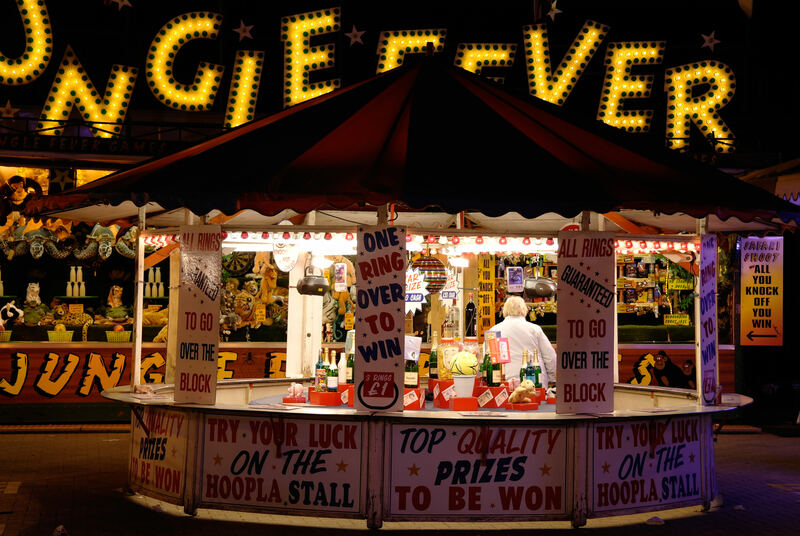 The EVF image is more than acceptable. The image is clear, sharp and free of obvious lines that used to beset earlier EVF systems. There's no refresh lag as you pan from side to side either, so it's a perfectly usable system. For this review, we were supplied with three lenses: the 30mm f/2 pancake, the 18-55mm standard and the 55-200mm telephoto zoom. The NX10 is being marketed in packages featuring one, two or three lenses. No doubt in time we will see more optics from Samsung, as well as from other brands. The NX10 is bigger and heavier than the Olympus Pen E-P2, but it also feels more robust and it does have a viewfinder. 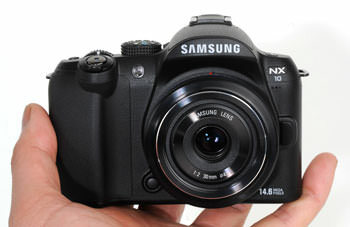 Everything about the Samsung NX10 feels positive and confident. The controls are firm and click securely into position. There's no sloppiness here and little chance of accidentally moving important controls such as the exposure mode. In terms of feel, the body is reassuringly robust. The handgrip is a good size to give someone like me with average-sized hands a secure grip while there is no 'give' in the body. To be honest, it feels more solid than it looks and I like that. Size-wise, as someone used to Canon and Nikon DSLRs the NX10 is delightfully petite. It's small enough to illustrate the benefits of booting out the reflex mirror and pentaprism but not so small that it is a fiddle to use. I'm going to show my vintage here and say that the differences reminds me back in the 70s when the then radical Olympus OM1 came out. Every SLR at the time was big, and heavy then along came the OM1 and the photographic world changed forever and for the better. 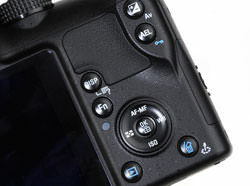 Products such as the NX10 and the Olympus/Panasonic models could have the same impact. Finding my way around is no problem and there is nothing on the NX10 that would bamboozle a current DSLR user. Users progressing from a compact, however, may be more perplexed by the controls and menu items. There's an opportunity for Samsung to make a simpler version or to make the NX20 (or whatever the next one will be called) more user-friendly. As far as the menu is concerned, the one on the NX10 is Samsung's best effort yet and significantly clearer than the menu system of the GX10 and GX20. The lovely monitor helps here too. The exposure mode is positive. The buttons are small but okay in use. The pop-up flash has a GN of 11 at ISO100. Excellent, clear menu system. One thing that has concerned me from day one regarding these small system cameras is that the sensor is relatively open to airborne nasties. Indeed, there's nothing to stop you accidently smearing your finger over it. 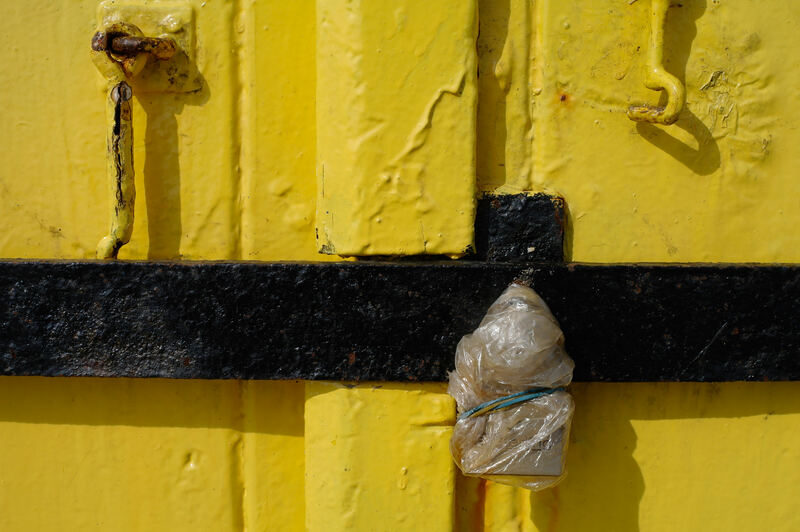 There's no physical protection, ie no reflex mirror and shutter curtain mechanism to cover it. This is less of an issue if you never change lenses but of course one of the attractions of system cameras is being able to do exactly that. During my time with the Samsung, I only once got shots with a nasty blob of dust on it and that is pretty good going because I expected more problems. The integral sensor cleaning system, called a Super Sonic Drive must do a good job. It vibrates 60,000 times a second to shake off surface dust. The spectre of physical damage still looms large in my mind, but that is probably because I can get a little sloppy when swopping lenses. Having a vulnerable sensor is a good antidote to that. On the plus side, the openness of the sensor does make it simpler to clean. It's close to the surface so it's easier to see what you are doing with the swab and you are not working too much in the dark. I shot Raw and Super Fine JPEGs. At the time of testing, Photoshop and Lightroom were not compatible with the NX10's Raw files so I processed the Raws using Samsung's software, which is Windows compatible only. I also shot some movie footage too and the image quality is excellent. The biggest drawbacks are the microphone quality, as you would expect, and mono sound. But for fun, the NX10 movie mode is fine. 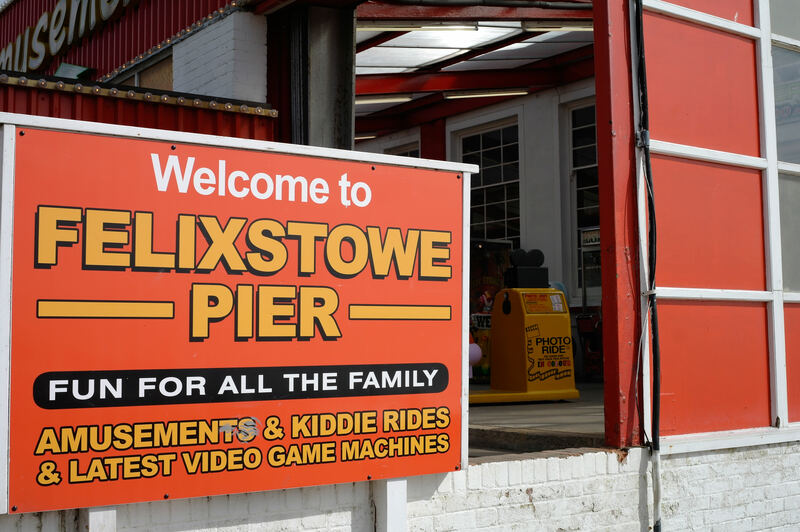 I took over 600 pictures in a very wide range of lighting situations from bright sun at the seaside to the low light of a fairground. 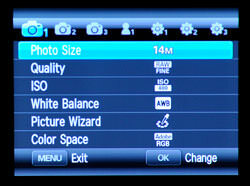 I left the NX10 in its default multi-zone light measuring mode. To be honest, you would expect any camera to mess up occasionally but, incredibly, I did not suffer from one badly exposed frame - except those that I deliberately messed up. A few images could be tweaked to make more of them but not once did I have to get to work in Raw to recover a frame. I think that is a remarkable performance. Of course, the NX10 is unlikely to be infallible in exposure terms and there is doubt that it will falter sooner or later, but so far, so good and the system is clearly capable. No obvious shortcomings were revealed during the test, apart from the continuous AF system's inability to hold focus on fast moving fairground rides in low light. To be honest, not even top-end pro Canon or Nikon DSLRs would have managed that particular test. I tried the single zone and multiple zone AF system as well as face detection. With the multi-zone AF system I did end up with a few failures where the camera focused on something other than what I wanted. To be fair, this happens with other multi-zone AF systems too, and is why I prefer using the single zone AF so that I can pick what I want sharp. The AF system itself is virtually silent and the focusing action is swift and responsive. On the monitor and in the viewfinder, if the camera can't focus, red indicators show while you get green if the subject is in sharp focus. In terms of outright speed, the NX10 seems marginally slower than my current DSLR, but this is only an impression and the difference, if any, is minor. I left the camera in its standard colour setting for most of the review, playing with the style modes only to see what they were capable of. My pictures looked fine to me and did not need any remedial help in Photoshop to enhance saturation or to subdue colours. Pictures looked rich without being over the top, natural tones like skin, foliage and skies looked accurate. The same could be said of whites, greys and blacks which were mostly recorded free of any colour cast. The primary colours came out richly saturated especially reds and blues while still holding onto detail with greens just being slightly more delicate. Subtle hues also looked good and there was no problem with purples, pinks and delicate blues. Click on the thumbnails of our test shelf to view high resolution images if you want to check out the results for yourself. A variety of lighting conditions were thrown at the NX10 and it coped admirably with little, is any, manual intervention. Click on the thumbnails if you want to a view a high res image. The ISO range is 100 up to 3200, selectable in full f/stop values. As you would expect, the images taken at ISO100 and ISO200 are very clean and tonality is smooth. Picture quality is generally excellent. Noise starts making its presence felt from ISO400 onwards. Areas of even tone start looking marginally coarse but fine detail is unaffected and remains nicely resolved. Up another stop and noise is prevalent in the darker colours and shadows, but generally the midtomes and highlights remain clean and detail still looks good. The last ISO for critical use is ISO1600. 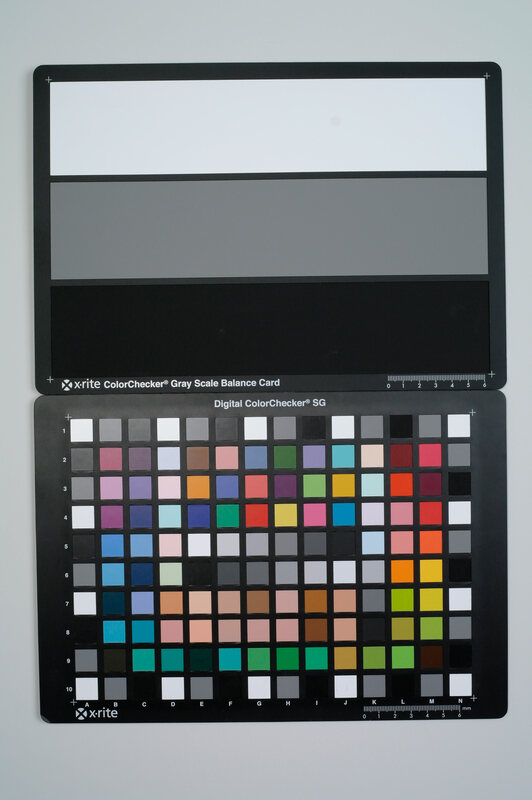 Digital noise is obtrusive, especially in the shadows where blotches of red and green noise can be seen. In lighter areas there is no such problem. ISO3200 is probably best avoided unless you really need such high sensitivity. Fine detail is lost in mushy digital noise and noise is obviously visible in even toned areas. To be fair it wasn't horrible at all, but it did take the shine off the camera's performance at low ISO settings. To sum up, the NX10 is a respectable but probably not outstanding performer in the ISO stakes. However, at the lower ISO settings it is impossible not to be impressed with image quality. 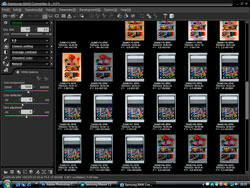 I usually leave the camera set to auto white-balance, trying the presets just to see how they performed for the test. 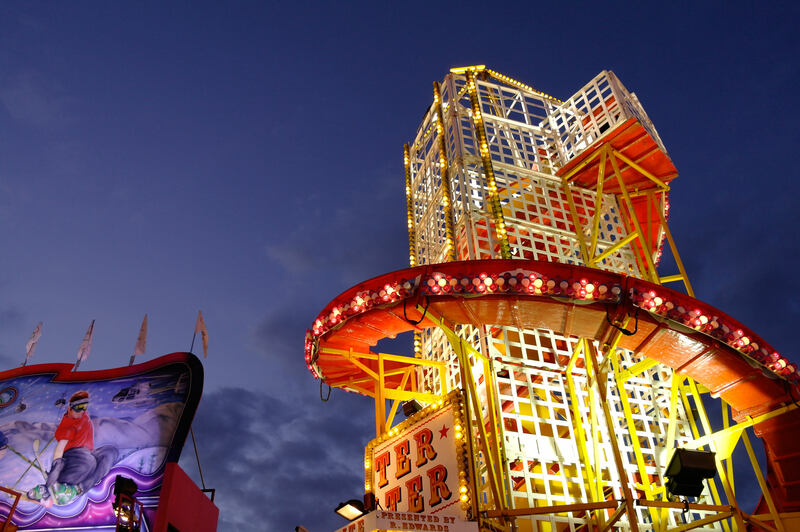 From sunshine, to shooting in a shady wood and to the strange artificial lights of a fairground, I had no serious concerns with the camera's performance in different lighting situations. The images in full sunlight with AWB were very slightly cool but not in an unacceptable way. I found the same with images shots with studio flash – this was using the flash preset without any custom white-balance. In shade or under cloud cover AWB did really well and images did not need any warming up. AWB did less well in incandescent lighting and images still had a strong orange colour cast. Selecting a preset resolved this, as did doing a custom white-balance. 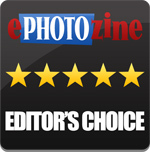 All round, the NX10 gave a solid performance and there was nothing to be concerned about. 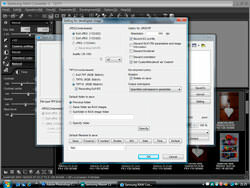 Samsung provide a Raw converter in its software suite - our sample was Windows only. Using a Lexar 133x SD card, shooting in normal JPEG quality mode, I got 50 shots at 3fps and there was no sign that the camera was about to run out of steam. 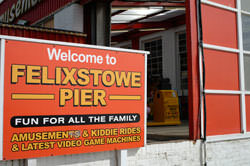 Increasing image quality to Super Fine JPEG, I got 25 frames before the camera slowed up and but even then I carried on shooting albeit at a slower rate. Factor in Raw, of course, and shooting speed slows down significantly. In Raw only, you get three consecutive shots, then there is a delay of a few seconds as an image is written to card and the buffer clears ready for the next one. With Raw and Super Fine JPEG the shooting speed is marginally slower. Bearing in mind that the NX10 is not a pro spec camera, shooting speed performance and the buffer size are okay. After all, this is not a camera designed for action shooting. From one full charge I managed 600 shots, a handful of short movies and plenty of image reviewing. That is good capacity, so one charge is easily enough a week of photography for many users. The NX lens system comprises three optics at the moment, but that covers a focal length range from 18mm to 200mm. 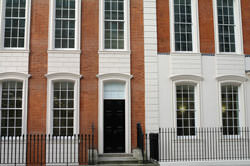 In 35mm full-frame format, that is a range from 27mm to 300mm, which is enough for most prospective NX10 users. Those photographers wanting the NX10 as a second camera might demand more, but it is a good start. 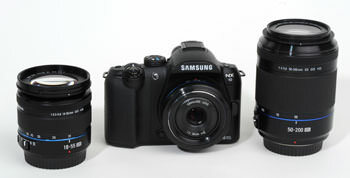 The NX10 along with its three lenses: (left to right) the 18-55mm OIS, 30mm pancake and 55-200mm OIS. A full testbench review of the three optics will appear here in due course. Meanwhile, here are our thoughts based on the pictures we took. My personal favourite is the 30mm pancake lens. Its fast f/2 aperture aside, the 30mm's other practical benefit is its size and it combines with the NX10 to form a lovely, pocketable combination - this assumes a jacket pocket as opposed to a trouser pocket. Images taken on this lens were really sharp almost regardless of aperture choice. Colours were crisp andimages seemed to leap off the screen. Viewed at 100% on screen or on A3-size prints, fine detail was beautifully resolved. While this may be a fixed focal length lens, it offers great value for money and a splendid performance. The two zooms have a hard act to follow and it is true that they do not reach the heights of the fixed 30mm lens, but that is no surprise. The telezoom was the slightly less impressive of the two lenses, but used at its mid-apertures, images are plenty of contrast and detail is finely resolved too. The OIS is handy too and it work well, giving at a least a one stop benefit. In terms of OIS performance, the 18-55mm was more impressive. I got sharp shots at 1/8sec and 1/15sec without too many problems, so the benefit is around two stops. Optical performance was impressive again with the lens producing sharp, flare-free images. There were signs of mild distortion, though, so straight lines at the edge of the frame were slightly bowed out. 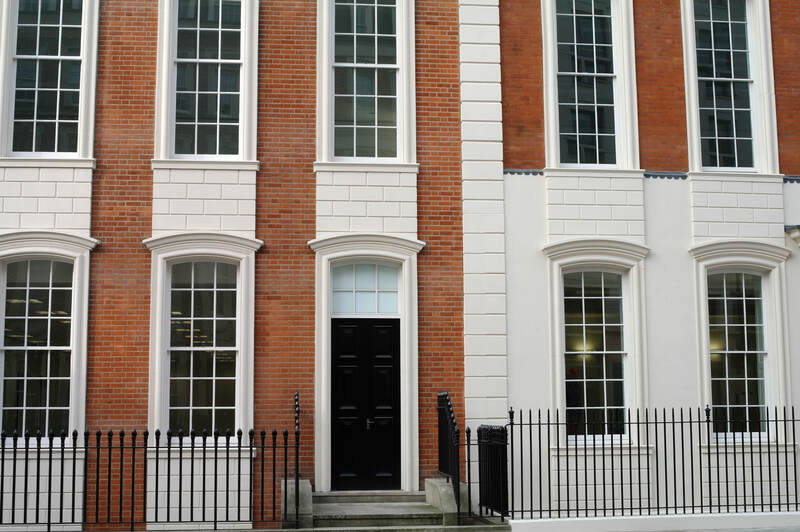 This is not a problem with general photography and only apparent with architectural subjects. 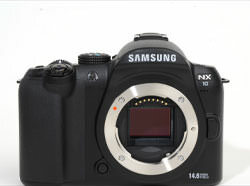 Visit the DxOMark website for tests performed on the Samsung NX10. After 25 years of reviewing photographic products, I am as cynical as anyone of the camera makers' innovations. But I think they are really onto something big with system cameras like this Samsung and the Micro Four Thirds system. The cameras offer high quality photography, responsive handling, interchangeable lenses and without the bulk of a traditional DSLR. 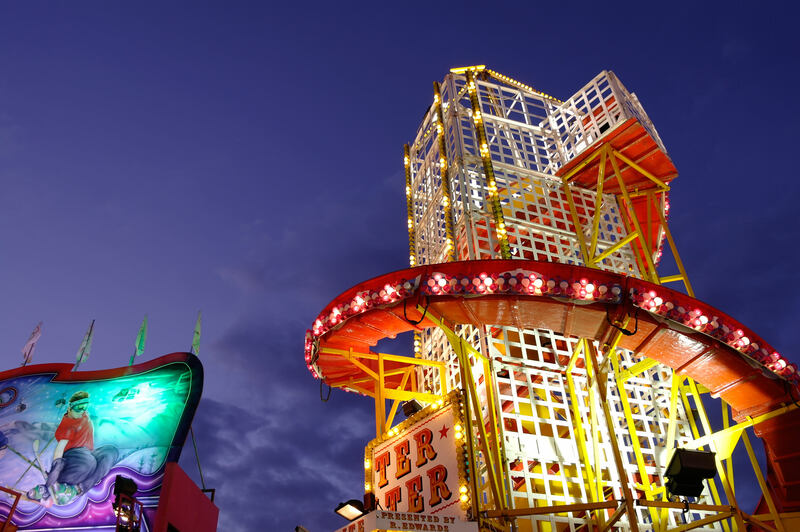 I have had a brilliant time with the Samsung NX10. It is undoubtedly a superb camera that performs well, and I love it. During this test, I managed to use the NX10 alongside the Olympus Pen E-P2 and the Leica X1, and added to that was still fresh memories of a recent experience with the Panasonic Lumix G2. So far, the NX10 stacks up really well against its nearest rivals and I can't wait to get all of them together for a group test. 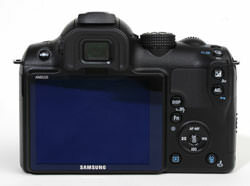 However, for now, with the NX10 selling at under £500 with the standard zoom, I think Samsung are on to a winner. Exposure modes Smart auto, program, shutter-priority, aperture-priority, manual, night, portrait, landscape, movie and scene. There are nine modes within scene including fireworks, dawn, sunset and beauty shot. White-balance Auto, daylight, cloudy, three fluorescent presets, tungsten, flash, custom and Kelvin. WB bracketing available. Image styles Standard, vivid, portait, landcape, forest, retro and more. Contrst, colour, colour tone, sharpness and saturation cane be adjusted. Frames-per-second 3fps in continuous, 30fps in burst mode (1.4Mp files). And I thought it was just me that was reminded of the OM1! A fair review of a camera that I have had two weeks but am very fond of. I'd agree with the verdicts although I rate the telephoto as stellar. If I was Canon or Nikon I'd be very worried. This rating comes as no shock whatsoever to folks like us who have already invested in an NX10. Kudos for not falling into the review by camera makers name though. This rating comes as no shock whatsoever to folks like us who have already invested in an NX10. Kudos for not falling into the review by camera makers name though. It looks very promising, Will, but you didn't say what manual focus was like. I have an old Fujifilm S6500fd and was never able to get used to the way the centre suddenly shoots out of the shot as soon as you touch the focus ring, & dives back in again as soon as you let go. I found it very disconcerting. I nearly dropped the thing the 1st time I tried it!! I never really tried it again. I still miss the viewfinder focus aids on my old Pentax ME Super, with the spangly ring that cleared as you focused, & the central, split circle, that came together. Never understood why they dropped that on modern D-SLRs. It looks very promising, Will, but you didn't say what manual focus was like. I have an old Fujifilm S6500fd and was never able to get used to the way the centre suddenly shoots out of the shot as soon as you touch the focus ring, & dives back in again as soon as you let go. I found it very disconcerting. I nearly dropped the thing the 1st time I tried it!! I never really tried it again. I still miss the viewfinder focus aids on my old Pentax ME Super, with the spangly ring that cleared as you focused, & the central, split circle, that came together. Never understood why they dropped that on modern D-SLRs. I have recently purchased this camera and 50-200mm lens. Fantastic camera that feels nice ( I have large hands). OIS works well, as stated i can carry this camera, telephoto, and some accessories in a small caerma bag that only weighs a couple pounds. I have recently purchased this camera and 50-200mm lens. Fantastic camera that feels nice ( I have large hands). i can carry this camera, telephoto, and some accessories in a small caerma bag that only weighs a couple pounds. This one small DSLR-like camera really got into producing great quality shots... with the new android application, it adds some more advantage, for me, as I like to play with my shots using the features like Beauty Shot, Auto Contrast, Vignetting, Fish-Eye... most of the time these beauty studio's features are great fun... you can be really flexible with NX10... I may not own the heavy DSLR but am very much satisfy with the smaller NX10. Not to mention, I got the option to use additional macro filters with my Samsung NX10 set, and that's just added awesomeness.